NOTE: Hunting regulations available on the Pocket Ranger Mobile App are NOT for the current year and should be disregarded. Please refer to links on this page and the 2018-19 Hunting and Trapping Digest for current regulation information. 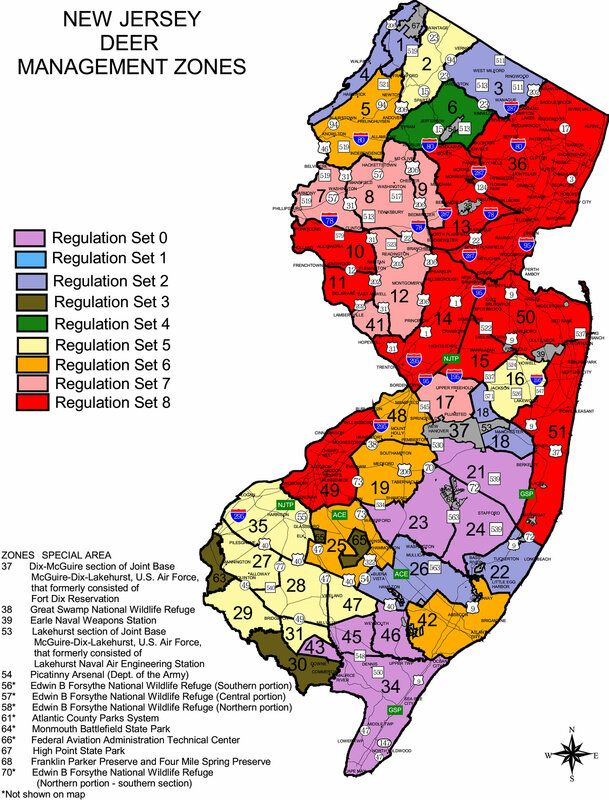 New Jersey's deer herd is a major component of the landscape throughout all but the most urbanized areas of the state. Deer affect our forests, farms, gardens, backyards and roadways. From a population reduced to a handful of deer in the early 1900s they rebounded during the 20th Century to a thriving herd today. A healthy deer herd, managed at levels that are compatible with current land use practices and the human population, has great value to the people of the state. Deer are photographed, watched and hunted by many New Jerseyans and visitors from elsewhere. Deer hunters spend more than 100 million dollars each year as they enjoy approximately 1.5 million recreation-days hunting deer. Money spent in the course of deer hunting benefits a wide variety of New Jersey businesses. 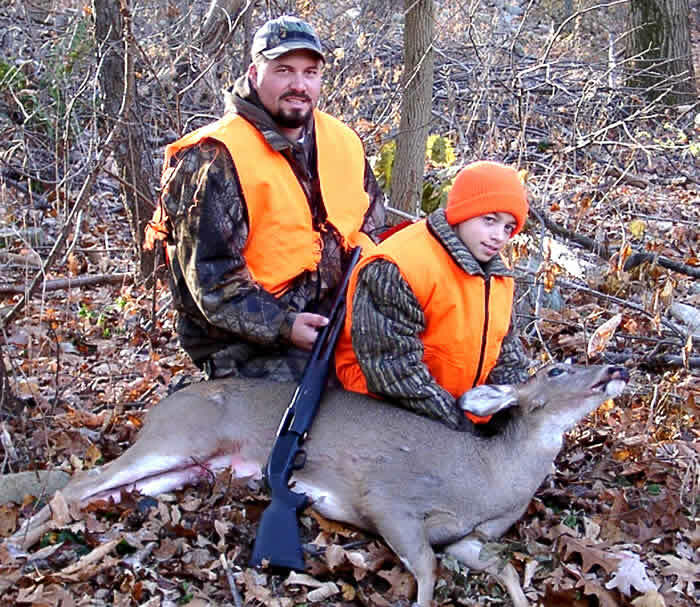 And for hunters looking for a place to hunt, New Jersey offers more than 750,000 acres of public land (state, federal, county and municipal) available to the deer hunter. Visit the Public Deer Hunting Land page for a breakdown of state Wildlife Management Areas, state parks and state forests by Deer Management Zone. The page also has links for maps and information on hunting land. 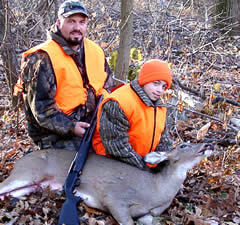 The "Take a Kid Hunting" program provides unique opportunities.